Haringey Council and developers Far East Consortium are holding a Development Management Forum (what are Development Management Forums? 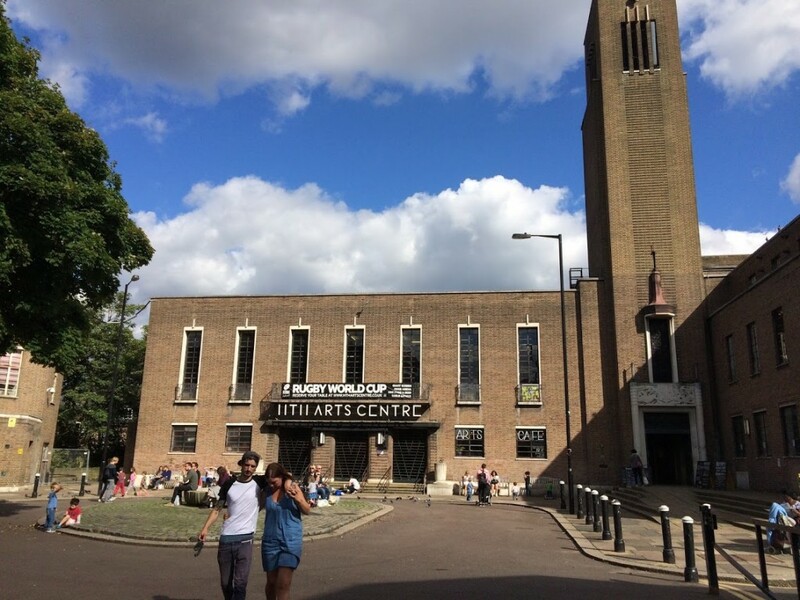 Click here) to present plans for Hornsey Town Hall on Monday 10th July (venue: Earl Haig pub). Proposal: Demolition of the Weston Clinic building. 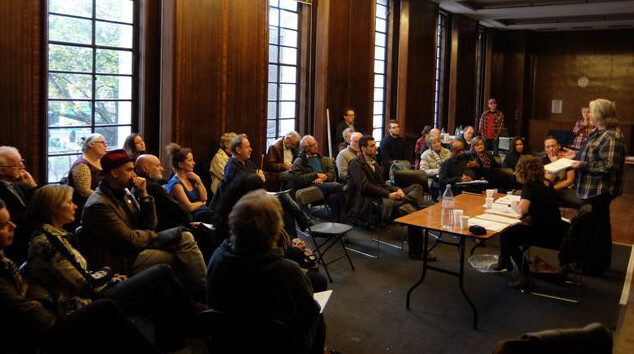 Change of use of the Hornsey Town Hall to an apart-hotel, food and beverage uses and community and co-working uses. The erection of a 7 storey building and a part 5/part 6/part 7 storey building comprising 114 residential units. Change of use of the ground floor of Broadway Annex to food and beverage use and change of use of the first and second floors to residential use comprising 14 units. The erection of a residential mews block to the rear of the Broadway Annex. Landscaping improvements to the public square and open spaces. People will note the the short description of the project closely matches the existing plans as presented at the two engagement events a few weeks ago. Further details can be found at the developer’s website. The Forum have blogged on a number of occasions about the project, including a proposal to feature the type of creative workspaces the area sorely lacks. The Development Management Forum is an official part of the planning consultation process and presents an opportunity for Crouch Enders to interrogate and improve the scheme, albeit an opportunity without the full supporting information attached to an actual planning submission. impact assessments; transport plans; construction details; etc..
– and how about some worked-up renders of the completed scheme? What’s the design for the public square, and how does it relate to use (by the Festival for instance) and continued public access? How will it be managed? Will a restored, refurbished Town Hall be phased to complete before the sale or occupation of the residential units? Why are the office spaces of the annexes all to become residential when there’s such great demand for workspaces? How will the development respect and enhance the local town centre and economy? What planning obligations will be identified in a section 106? How many affordable units will be secured? Will the proposed design for the residential blocks be appropriate in a residential conservation area alongside a listed building? Will it go to a Quality Review Panel? For what uses, performance, art, theatre, events, etc. will the public halls be designed? Will appropriate acoustic protection be in place? What retail businesses are planned? What is the council’s development policy on apart-hotels? What safeguards are there to market the residential units in the UK? We also note that the public halls are identified as ‘community use‘ in the Development Management Forum synopsis copied above rather than the ‘arts centre‘ previously announced (though the designs suggest ‘venue‘ rather than either designation). This confusion must be resolved, as a clear vision for the future use of the spaces is essential, both to establish a brief for an operator, and to determine the form of the auditoria. Also, what mitigation will the Community Infrastructure Levy supply? The council’s policy of raising millions from housing developments in the west of the borough and spending the proceeds on infrastructure projects in the east is surely not sustainable permanently. The impact of the HTH development on social and material infrastructure (such as schools or transport) in Crouch End deserves to be taken seriously. Lastly, what is the proposed timetable for the planning submission and for an appropriate level of scrutiny? We would expect that the findings of the Development Management Forum will be afforded the time and space to influence the subsequent application. If you cannot make the meeting feel free to pass on comments and questions through CENF, either by emailing [email protected], or by way of comments under this post. 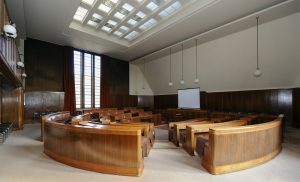 Hornsey Town Hall is a public building, a grade II* listed building, which is due to receive £millions of public money for its restoration by way of rebate on the land value. Accountability is necessary. As all stakeholders are in accord that the objective is to secure a long term sustainable use for the building, a clear exposition of the sustainability and feasibility of the planned future uses of the building is warranted. The business case for hotel and community venue, subject to commercial confidentiality, should be made public. The haste in which the scheme is progressing through planning gives rise to a suspicion across the community that the consultations are little more than a tick-box exercise. However, we welcome the opportunity presented by the Development Management Forum, and hope that it presages a more transparent process now the procurement period has closed and the planning and development period has begun. Haringey must maintain the independence of the local planning authority, and ensure that the voice of the community is represented in any future development discussions. Happily the developers seem willing to engage. With a statutory role in planning and established links across the community, the Neighbourhood Forum stand ready to positively engage with all stakeholders. 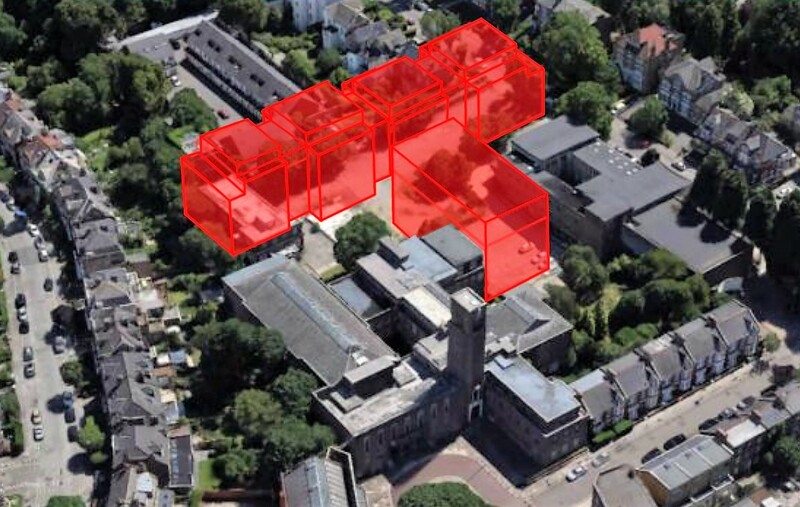 What does Crouch End think of the plans for 144 flats, an apart-hotel and a community arts centre at HTH? Public meeting tonight 7pm, (venue: Earl Haig Hall pub). Has the Council achieved what it set out to do? I left the meeting in a rage . Not so much at the council or developers but US. We the baby-boomer elite of Crouch End who want the council taxpayer to subsidise our boring middle class “arts” centre, manicure our communal lawn and spend £10m restoring a drab building in way that actively prevents it being commercially viable. We the Crouch End fat cats sitting of hundreds of millions in unearned home equity who will object to any development that threatens are ill-gotten gain. We the Haringey hypocrites who paste Vote Labour posters in the windows of our vacant empty-nester bedrooms, then deliver lachrymose sermons about the lack of housing. We the sharp-elbowed parents who hogged all the prime properties in the best catchment areas, pricing out everyone but the rich, creating de facto private schools mostly paid for by taxpayers who can’t afford to live here. The retirees, in their shabby chic linens, dressing their self-interest as social responsibility. And the most infuriating bit?. We will win. At least partially. The planning officers and developers will abandon the will to live listening to our pious lectures. And at the Hornsey Town Hall the only thing that will happen is what has happened for the last thirty years. Oh, and the occasional “art” exhibition of twisted coat hangers. Actually, and I’ll careful what I say here, I agree with much of that… though maybe that’s because I’m not a baby boomer and live in a flat (I’m a bit shabby though). Where there’s definitely agreement is on the issue of an arts centre, or community centre, or whatever it is. This part of the project appears to have come about by default, as if all the failed attempts have left everybody exhausted and unable to give it the attention it needs. It is, as you say, the potential recipient of £millions of public support – and yet there’s no business case, no feasibility study or business plan available. I guess we’ll find out a bit more when the operator is announced. There are plenty of venues in trouble all over London, so whether an arts centre is what we want or not, viability – sustainability – is key. We really don’t want the building moldering again. Stay tuned. Thank you. Well articulated. One point missing – hysteria over parking. I’m sure it is frustrating trying to wedge your car into the few spaces that continually block the bus routes but I question why all these car drivers aren’t enjoying the very walkable CE. I’m middle of the road. Don’t mind idea of hotel, proposed one seems too big. WANT more housing, this is ideal opportunity. Want Haringey to be ambitious in affordable and social housing targets. It is a Labour neighborhood so this should be easy. Want the developer to generously offer more units than the viability study will force them into. But my pessimism predicts they’ll sell at market value and pay a fine like Battersea, One Bankside, etc. Ta day – no new affordable housing. Haringey are desperately and expensively trying to build community and regenerate Wood Green yet the very community that is what Haringey is trying to replicate is being mined for cash and not sufficiently supported in ways that would diversify and grow this community. There is so much potential here and I do not want to see it squandered because the council are reverse snobs and negligent. I was born in 1950 so I qualify as a baby boomer. I’ve enjoyed a life time of full employment and no conscription. And still most of Jessie’s sweeping generalisations miss their mark where I’m concerned. I’d get in a rage about them if I weren’t so busy not being self-satisfied, and of course, Jessie is well aware of the danger of sweeping statements. Has she not noticed that the Town Hall is actually turning a profit at the moment? Otherwise why would ANA bother? I’ve been to loads of events there and not seen a single twisted coat hanger. And that FEC and the town planners are doing just exactly what they want despite anyone’s opinion. There was a very telling moment at the end of the meeting when the audience was asked for a show of hands on whether they their impression of the project was negative or positive. Surprisingly, given that virtually very speaker from the floor was passionately opposed, the group was fairly evenly split. I suspect that were also abstainers like me who share some of the concerns of the objectors – particularly the lack of supporting infrastructure -but who also don’t want a project that can deliver, jobs, growth and vibrancy to the area derailed yet again by an unrepresentative, but articulate, elitist clique. Mark , re your point, the problem with community arts programmes is the “community’ they serve is often the self-same self-satisfied clique who want the taxpayer to fund so called ‘art’ so bad you’d otherwise have to pay people to see it. That said, if people are so desperate to signal their egalitarian virtue how about hosting events that have genuine popular appeal such as bingo and darts tournaments? I think perhaps it’s important to lay out who is in charge. The building is being disposed of by Haringey to private ownership on a 130 year lease. The new owner, FEC, are in control of the uses of the building – and it is FEC who are proposing the community centre in its current form (Haringey stipulated community access in the tender, but nothing about arts centres). It is FEC who are now in the process of appointing an operator for the spaces, a purely commercial arrangement. The operator will then decide on programming, be it bingo or the ballet. If an arts centre of some kind comes about (it is not a sure thing), it will not be publicly run, publicly owned, or controlled by elitist cliques (and I share your suspicion). It will be a private venue. The main positive in all this is the restoration of the listed building (all bids and all attempts featured housing in the back lot). There is however a question mark about the sustainability of the uses, be it hotel or community centre – after all it’s an expensive building to run. And there is a question mark over as you say, jobs, growth and vibrancy – this is a key place making project for Crouch End and we’d like the project to recognise the distinctive qualities of the place and enhance the local economy. This was the idea behind our proposal for workspaces ‘Hornsey Town Hall Yard‘. As a guy said at the meeting, there are a lot of highly skilled jobs in the TH just now, but presumably a lot fewer in the running of a hotel. We’d like to have both. Thanks for the clarification. I like the idea of an affordable space for small businesses as you suggest. It could generate revenue alongside the hotel, boost the local economy (all those entrepreneurs need feeding) and reduce the numbers of people needing to commute to central London. Re the hotel, I too was a a little puzzled as to why they feel Crouch End is viable. but it does appear they have been quite shrewd at developing sites off the beaten track and making them successful. I saw a suggestion somewhere that their next project could be Ally Pally. I don’t believe for a second though they would be happy with not having their own reception desk, which appears to be the current proposal.